I wrote a similar post to this one, in March last year, setting out my plans for the coming year (see here) and I didn’t do too badly in the end. I walked the Eden Way and completed the guide book for that walk. I only managed a couple of days along the Tributaries Walk, but also managed to update that guide book to the second edition and I completed the Westmorland Way, in sections. Although the intention had been there, I didn’t end up doing a guide book for that walk, although I certainly will at some point in the future. If I’m honest with myself, I got a bit fed up of the writing part of it, but thoroughly enjoyed the walking side of things. So, what’s in store for 2019 then? I think it’s safe to assume that society isn’t going to collapse to the point that Blade Runner predicted in the next few months (the film is set in 2019). As such, I’m planning a few walks! I currently have five long distance paths in my sights; the Herriot Way, the Cape Wrath Trail, the Ravenber Way, the Samaritans Way and the Southern Upland Way. Of those, only the Herriot and the Samaritans will be completed and I’ve selected sections out of the other three, of about 6 or 7 days each. One thing that became clear to me last year is that I need to walk in new places, break fresh ground, climb previously undiscovered hills and generally widen my horizons. Walking the Herriot Way is my most popular guide book, by a long way and it’s in need of another update. I try to release a new edition every three years and the last one was 2016, so it’s due. Although this isn’t new ground for me it’s favourite turf and I’ll be using it as a training exercise as much as anything else. 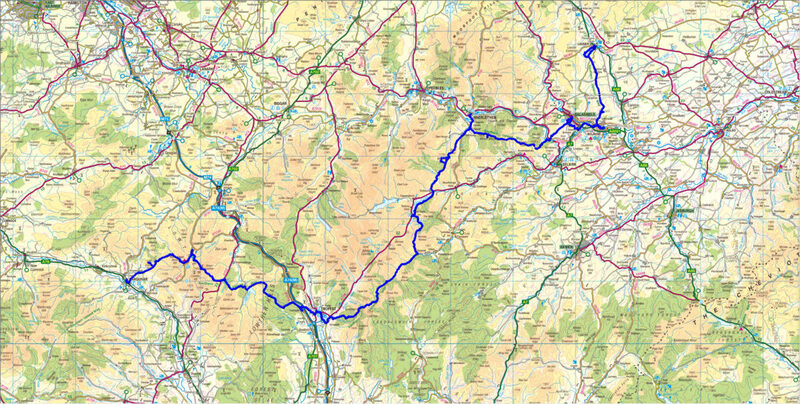 I’ll be doing a full circuit of this old favourite, starting in Aysgarth on the Thursday before Easter and walking to Hawes, Keld, Reeth and back to Aysgarth. 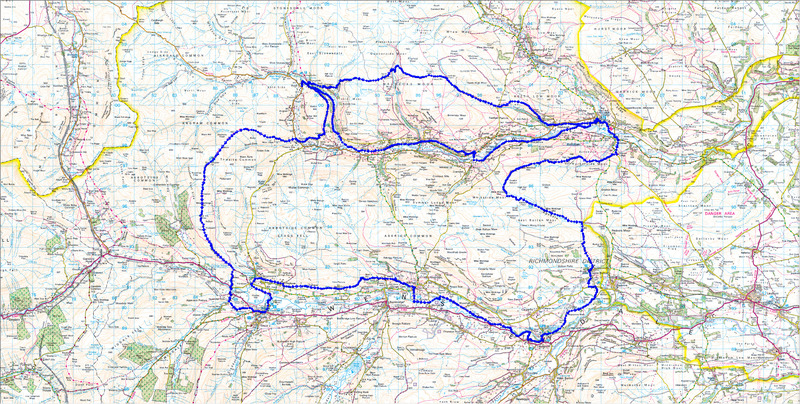 I will also be adding an extra day to my itinerary, in order to map out the low level route along Swaledale. I’ll get the Little White Bus back to Keld, from Reeth at the end of day three and day four will be walking back to Reeth along the low path. This is a much requested option for the Herriot Way with many people, especially in poor weather, wanting an alternative to the high route over the lead mines. This walk has been on and off for a few years now. It’s not one I’d particularly want to do alone and all my previous plans have been to accompany @PilgrimChris when he does the walk. Unfortunately he’s had to cancel for various reasons over the past few years and we’ve never managed to find time for it. This time however, we’ve pretty much blocked out the dates and hopefully nothing short of death or limb-loss will prevent us from at least starting the walk. 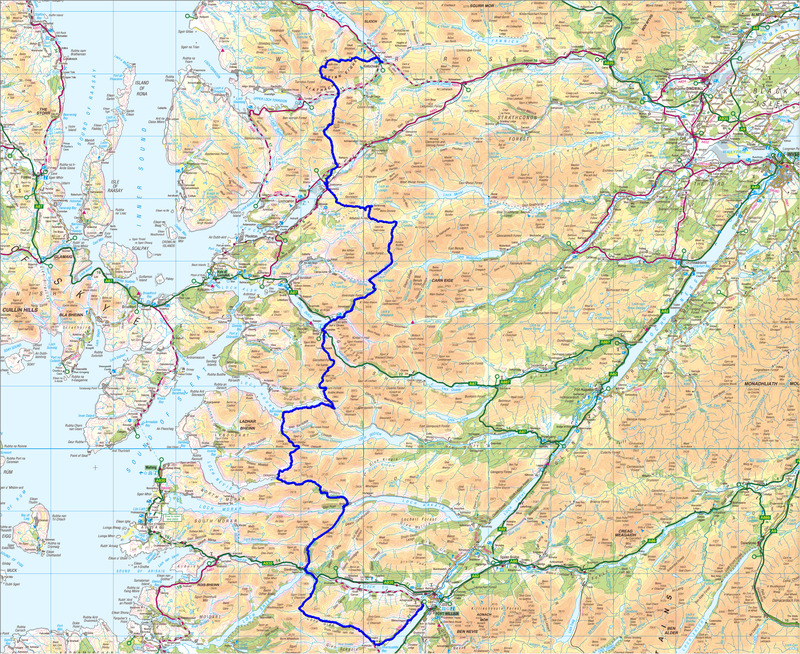 Chris will be walking the full length of the trail and I will only be doing the first half, as far as Kinlochewe, about 120 miles in all. Of all the walks I have planned this year, this is the biggest test and the one I will be training the hardest for. I have some real personal concerns over this walk and it will be something of a watershed moment for me if I manage complete it. It’s not the rugged and remote terrain that worries me, or the fearsome bogs, it’s not even the dreaded midge or the potential of picking up ticks, although all those things are never far from my mind. The real problem I’m concerned about is the wild camping – to be more specific, the number of consecutive wild camps that will be required. In the past I’ve only ever managed three consecutive nights in a tent before! Chris and I have tried to do longer multi-day walks in the past and I’ve nearly always dropped out after the second or third day, typically leaving Chris frustrated and both of us having to hike out to a train station or similar escape route, back to the cars or home. On this trip I won’t be able to do that – not easily at any rate. I really want to break that three-day run, I want to open up new possibilities for future long walks on my own and I’m hoping this trip can do that for me. If I have no option but to continue through the apathy or discomfort, or the feeling of just wanting to be at home then maybe I can break through into a new mindset. The personal concern is that it’s not going to end up that way, I worry that after two or three days I’ll be hating every step of the walk and wanting to go home. I fret that I’ll end up ruining another walk for Chris, one that he’s been looking forward to for a long time and I really, really don’t want to do that to him. I hope if that’s the way I end up feeling, that I can just push on through, suffer in silence, put a brave face on things and complete the journey with him. I’ll try and post some more thoughts on this walk as it gets closer. We have loads of planning to do for it and I may try and share that process. We set out for the north towards the end of May and I’ll be walking for eight days. 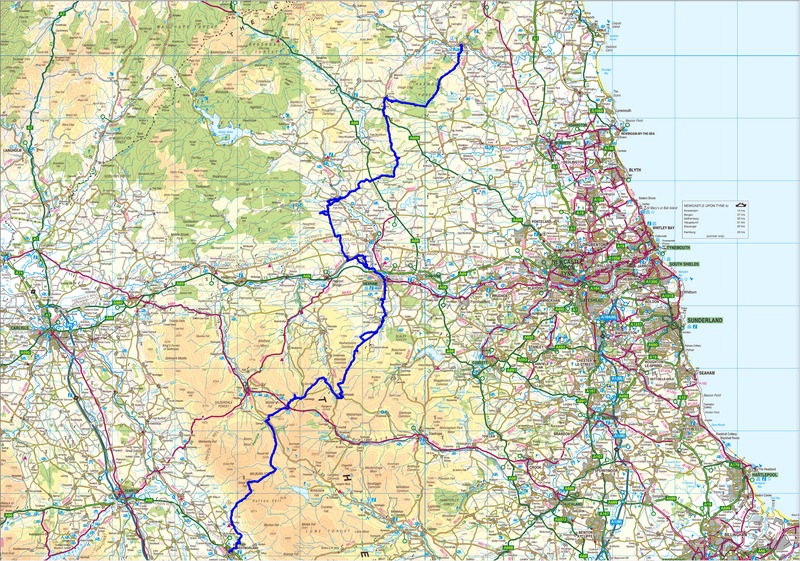 The Ravenber Way is a walk I considered at a few years ago, when I was looking at alternatives to Wainwright’s Coast to Coast walk. Ravenber is a concatenation (or maybe its a portmanteau?) of RAVENglass and BERwick, the start and end points of the walk. I was looking for somewhere new to walk, and initially I dismissed the walk as it was too long for me, normally needing 14 days to complete. Eventually I applied some lateral thinking and decided to just walk part of it! Duh! 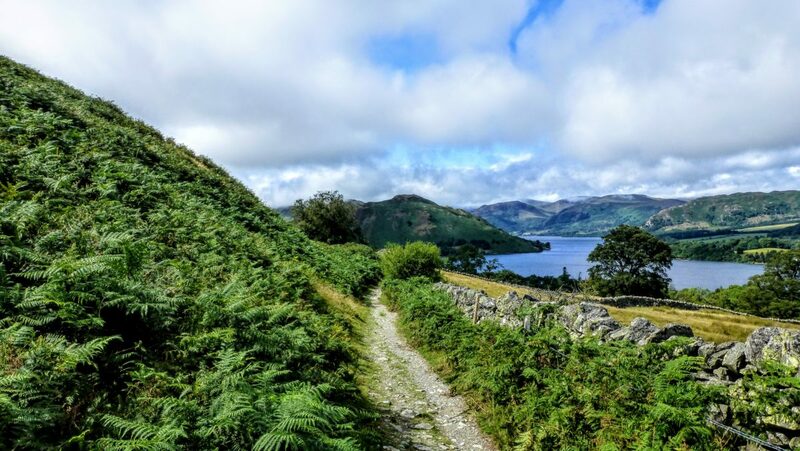 I’m planning to walk this one in July and the early section through the Lakes, although spectacular, would be chock-a-block with tourists and I didn’t really fancy fighting my way through hordes of folk on the hills and paying through the nose for B&B accommodation at peak season. As such, I’ve decided to walk the middle section, from Dufton, across the Pennines, through the North Tyne valley to Rothbury in Northumberland. 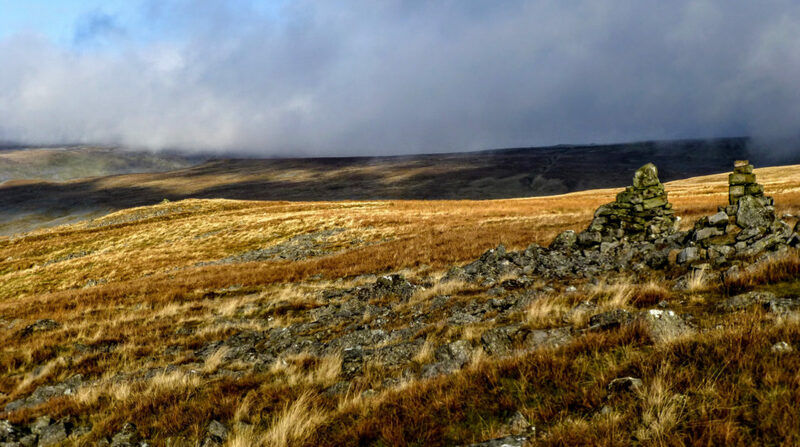 There are high hills, miles and miles of desolate moorland, and lots of forests in between those two points and on the map it looks awesome. I’ll be using B&Bs along the way and the route is thoughtfully broken up into convenient sections that stop in some lovely little towns and villages. Despite how good this walk looks, I can’t seem to find any online journals from people who have completed the walk (or even part of it). I’ll try and blog as I go so maybe there will end up being a record of at least some of the route. This is a walk that Chris requested we do. It was created to support the work of the Teesside Samaritans in 1979. This year marks the 40th anniversary of the walk and Chris is hoping to raise money to assist with the fine work they do. You can help Chris reach his goal by contributing to his Virgin Money Giving page. 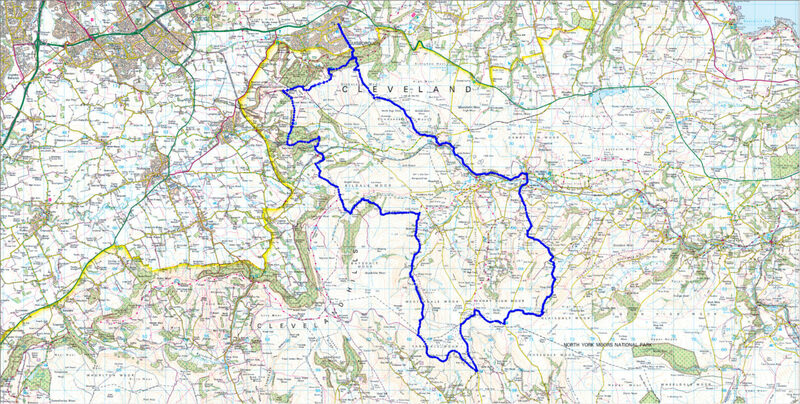 The walk covers 40 miles around the northern part of the North Yorks Moors, starting and finishing at Guisborough. It can be undertaken as a 24-hour challenge walk, but I jibbed out on that and insisted that if he wanted me along, we’d need to take two days, with a B&B in the middle. I certainly didn’t want to be carrying backpacking weight with back-to-back 20 mile days! Ahh, my old nemesis! I’ve tried, and failed, to complete the SUW twice in the past (2013 and 2015) and even this time I won’t be able to say I’ve done it all. The SUW is Scotland’s official coast to coast walk, from Portpatrick in the west, to Cockburnspath in the east. It’s 210 miles overall and one of the least used of all Scotland’s Great Trails if my experiences are anything to go by. In 2013 I was defeated by two different injuries, and limped out after eight days. In 2015 I started at the west coast again, and this time I only managed six days, leaving at the convenient train station in Sanquhar, just wanting to be back home, without even an injury to blame. This time, I’ve picked a wonderful six-day section in the middle of the route, starting at Sanquhar and it’s convenient train station and walking as far as Lauder. 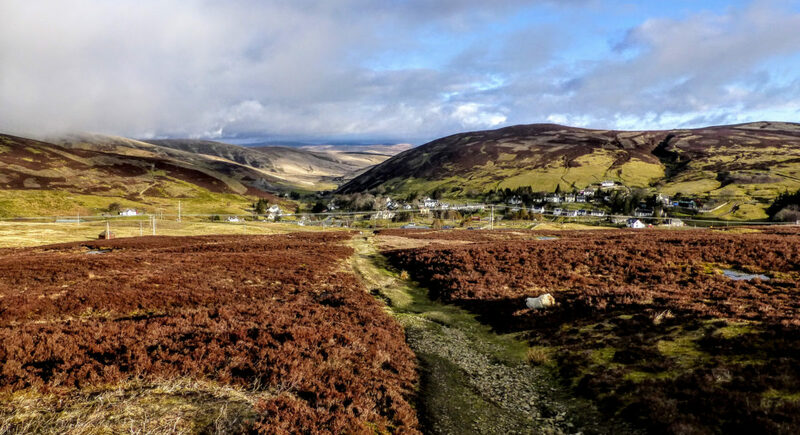 I revisit several miles I covered on my first walk, but it was all great walking, over the barren western hills of the Lowther range into Wanlockhead. From there I’m picking a different line, over Green Lowther and then heading for Moffat instead of the usual Beattock, where I have better accommodation options. The loss of the Tibbie Shiels Inn makes for an awkward second day, either walking 23 miles to a B&B well of the track, or getting a lift to the Gordon Arms, also a long way off the Way. 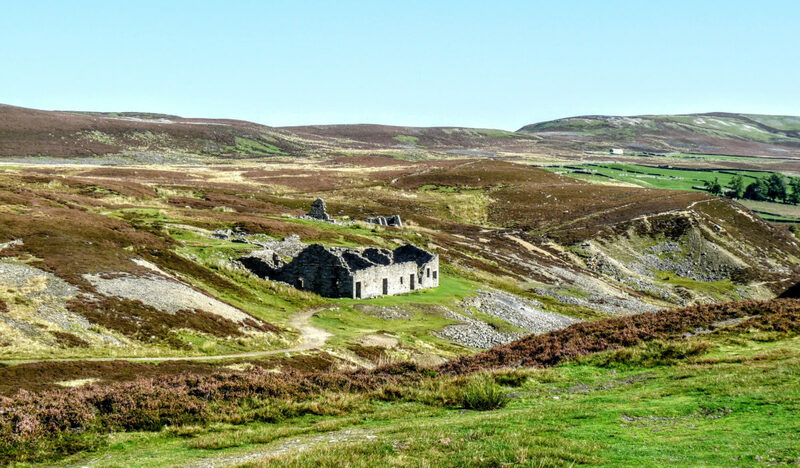 There’s lots of high moorland and forestry on this route and if my last two walks are any indication, I won’t meet another soul on the walk… heaven! I have this booked for the middle of August – some sunshine would be nice. There you have it, my plans (so far) for 2019. It will be interesting to look back this time next year and see how many of these walks actually panned out and whether I managed to add something else towards the back end of the year. I really enjoyed the five-days walking in the rain in the Lakes from Grasmere to Arnside last December, so maybe I’ll try and do something similar again – with maybe a little less of the wet stuff! Hi, Stuart – good to hear from you again! You’ve got some great plans there – best of luck to you. The CWT, as you say, is likely to be *the* challenge of the year for you – even though you’re planning to do “only” 120 miles of it. Re the SUW – I wasn’t aware the Tibbie Shiels Inn had closed. I’d been aware of some difficulties, from over-boisterous campers to an attitude problem with the owner. Whatever the reason, it’s a sad loss indeed – it was a good place to stay (location-wise) but even if you weren’t staying there, it was handy for a meal and a beer. Me? Well, inconsistency continues to prevail. I made some grand walking plans for 2019 with candid enthusiasm on New Year’s Day. It’s early days yet… so let’s see what happens! Do keep us posted with your updates – looking forward to reading them. Your plans look great Stuart! In late April I’ll be picking up my LEJOG walk where I left off last June in Annan. I’ve just finished the routing, and together with a number of days unmarked routes I’ll be following (in part/all) of the following: Annandale Way, Southern Upland Way; Clyde Way; Kelvin Way;West Highland Way; Great Glen Way; John o’Groats Trail. I was planning on including the CWT but think I would enjoy it more as a separate walk. Re the SUW, you’ll recall I walked it a few years ago in April. It was not the most enjoyable walk but the more I think about it the more I am convinced that I’ll do it again (in June some time). Hope our paths will cross this year! Sounds good and looking forward to reading your updates- I will be near the start of the CW Trail at the end of May as am walking the Great Glen Way with a friend. I would have really liked to do the Pennine Way this year but having had a massive car repair bill and a 22 year old cat I have decided reluctantly to postpone it. Maybe a challenge for my 50th year next year instead? The Pennine Way is probably best experienced without any external distractions, so you made a good decision there I think. I enjoyed the GGW but I felt the track was a bit hard on the feet, after a while I was longing for springy grass or even peat bog! Yes, it looks fairly flat so I’m hoping it will keep my interest, but we chose it mostly as it’s not too popular… yet! I’ve long wanted to do the SUW but never got round to it. In fact, I quite fancy Geoff and I doing it together with the dogs, but I haven’t yet managed to persuade him… 🤣 Not heard of the Ravenber Way before but it sounds interesting. Must look it up! I think you’d probably enjoy the SUW, it’s very much like the Pennine Way in many respects and wild camping options abound. It makes it so much easier when you can wild camp without thinking or worrying about it!